Paul Pogba is well positioned to dominate 2017. After signing a landmark sponsorship deal with adidas last year and breaking the world transfer record in a move to Manchester United last summer, the midfielder is set to catapult his brand to the next level with a signature collection with adidas that solidifies his position as the new face of football. Little was known about &apos;PP x adidas Football&apos; until Pogba dropped a couple of teasers on Instagram last week, apparently revealing the first pieces of a collection will set Pogba up as a creator off the field, as well as on it. The PP x adidas Football collection will drop in 2017. It looks like the first drops will have a marble-effect black and gold theme, and also be influenced by Pogba&apos;s home city, Paris. As well as a T-shirt, Pogba showed off a new pair of ACE 17+ Purecontrol in what we guess will be a colourway exclusive to him. 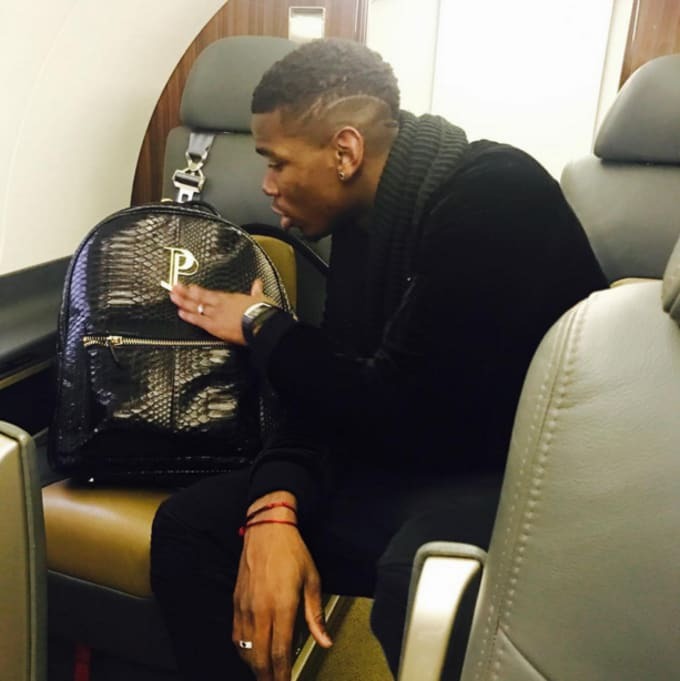 In a separate Instagram post, Pogba also showed off a leather backpack with the same &apos;PP&apos; logo that was seen on the aforementioned adidas T-shirt. "That’s the objective and it’s what I want. It would be a good challenge for me, to make something outside of football and that’s why I like adidas. It’s about more than football. They want to make an impression on culture, too." The future is now for Paul Pogba.